While we are open to projects of all sorts, there are some ideas that we have energy and excitement around. We’ve found it’s helpful to setup some guardrails to help guide the work but don’t feel constrained by these suggestions. 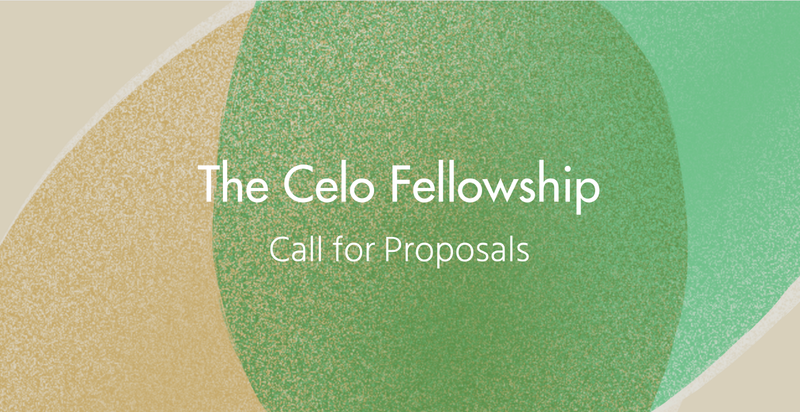 Below is our request for proposals for the Celo Fellowship. Projects of interest include privacy, scalability, data usage, field experience in emerging markets, statistical science, among others. Interested fellows submit a project proposal outlining the project scope, deliverables, structure, and resources needed. The proposal should be aligned to your area(s) of expertise. Each fellow will receive a stipend for contributions, which is determined by project. Stipends range from $500 to $10,000, in some cases more depending on timing, region, and scope of the project. If you’re interested in learning more, our application is now up. Email fellowship@celo.org with any question and / or you’d like to discuss an idea you have. We’re here to help. Will Le was our first fellow. He is pursuing a double MBA from MIT and MPA from Harvard, and was previously a Business Designer at IDEO.org, the Country Director for GiveDirectly in Kenya, and worked at the Bill & Melinda Gates Foundation and Bain Capital. As part of his fellowship, he led the field research trip to Kenya and is helping to initiate a pilot for Celo in 2018.